Papa Juke is blues with a difference, blues with a heritage, blues with an attitude. Their intoxicating and infectious original sound is courageously creative and enticingly danceable. Their heartfelt live performances are both hauntingly memorable and contagiously fun loving. You will go home after one of their shows strangely fulfilled yet still wanting more. Papa Juke is made up of Christine Webb on bass and vocals, Dave " Doc" Dougherty on guitar and vocals, Mad Dog Friedman on harmonica and vocals and Dan "Butter Sauce" Crecco on drums. Papa Juke is the originator of Juke, a contemporary stew of blues that they serve up hot. The recipe for Juke calls for pouring out some soulful blues and then stirring in a spoonful of swing, a fistful of rock, a bucket of boogie, a slice of country, a ladle of Latin, a pinch of reggae, a splash of Cajun and a generous dollop of old school R & B. Add a big squirt of funk with a dash of jazz and then sprinkle in liberally some hot gospel. Let it cook for a few hours over a hot jam. Juke has been known to cure the blues, dismiss a hangover and even bring together long lost lovers. Gary Allegretto has been described as one of the classiest acts in the music business today, working only with the best backup musicians and taking the time to craft music noted not only for its quality but for its authenticity. If someone complains to you that they don't make "real" Blues records anymore - albums that sound like lost classics yet retain the freshness of an individual - play MANY SHADES OF BLUE for them. The Bottoms Up Blues Gang from St. Louis celebrate a decade of playing together with their third release HANDLE IT The album features a perfect patchwork of original music in the band’s eclectic blend of St. Louis Blues and New Orleans Jazz, with instrumentation ranging from guitar and vocals up to a full band with organ and New Orleans horn section. The band, based around a nucleus of guitarist Jeremy Segel-Moss and vocalist Kari Liston, have surrounded themselves with a phenomenal gang of legendary local musicians to support a wide range of new sounds and influences. The album also includes an outstanding version of “Drown In My Own Tears” recorded with St. Louis’ legendary blues guitarist Bennie Smith, recorded before his death in 2006. 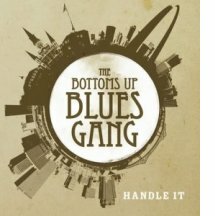 The Bottom’s Up Blues Gang is known for being a hard-working touring act, performing no less than 225 shows a year across the country. 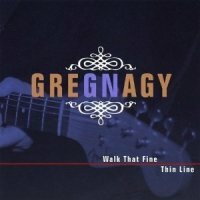 For a very limited time only Greg Nagy is giving away his 2010 BMA Nominated Disc "Walk That Fine Thin Line" for absolutely FREE! The entire record may be downloaded via a link at his website and takes only a moment. You don't want to miss this wonderful opportunity! 3) and then choose "download files to my computer." It's just that easy! Oh and be sure to tell all your friends about this great giveaway before it ends. "...Nagy has the stuff to get noticed beyond the Midwest. There's psychological depth and narrative momentum to his singing, and his blues guitar playing rings true in a personal way, even when in the spirit of Albert King or Jimmy Johnson. In addition, Nagy's songwriting is studded with winning connections to blues, r&b, soul, gospel, jazz, rock, country. The pan-stylistic title track is richer than a creme de cacao..."
this debut is going to be hard to top." "Greg Nagy is a master of pulling glistening, flawless, funky grooves out of his guitar." "...Greg Nagy has put together a complete package as singer, guitarist, songwriter, producer, band leader, and fulfills each role with talent and confidence as he walks that fine line of the complete artist. " that fine thin line is a mile-wide when it comes to Greg Nagy. Outstanding! Highly recommended!" without really sounding like anybody else...."
"...Greg can play anything he wants to guitar wise, but it's his voice that's heart stopping... On She's My Baby [from Walk That Fine Thin Line] you hear him at his most authentic. A little Levon Helm, Rick Danko and Richard Manuel all rolled into one." A&M / PolyGram staff songwriter for 18 years. (Jim Harrington/Oakland Tribune)"Terrible Tom" Bowden remembers when Seventh Street in West Oakland was a true destination for blues fans. The sights and sounds of the district beckoned to him well before he was old enough to actually enter the clubs. "I used to sneak out as a kid and shine shoes," says the 73-year-old blues singer-songwriter, who still lives near Seventh Street. "I met all the stars." In its heyday -- from the 1930s through the late 1960s -- there was no shortage of A-list performers gracing the famed entertainment district. Billie Holiday, Aretha Franklin, B.B. King, Nat King Cole, Louis Jordan, Etta James and Lowell Fulson were among the stars who performed in such clubs as Slim Jenkins Supper Club and Esther's Orbit Room. 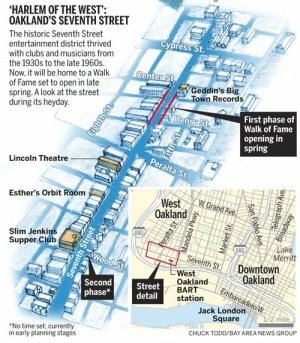 A project more than 20 years in the making will create a Walk of Fame on Seventh Street, on the same blocks that cemented the East Bay's role in blues history. 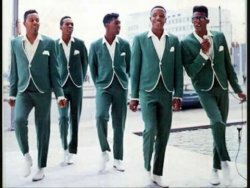 The project, titled "The Music They Played on 7th Street Oakland Walk of Fame," is targeted to open by late spring, according to Sunny Nguyen, a project manager for the Oakland Redevelopment Agency, who pointed out "it certainly has been a long time coming." No one understands that better than Ronnie Stewart. 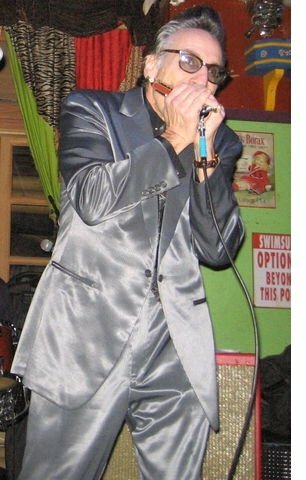 As the executive director for the nonprofit Bay Area Blues Society, Stewart has been working on the Walk of Fame since 1990. He's tickled to finally see the finish line. "I don't get any salary from doing this Blues Society," says Stewart, himself an accomplished blues guitarist and bandleader. "I live for people to get recognition." That acknowledgment will come in the form of 85 plaques embedded into both sides of the sidewalk along Seventh Street, between Henry and Center streets. One of the plaques will serve as a dedication marker; the other 84 will honor individual musicians, club owners and others who helped earn Seventh Street the nickname "Harlem of the West." Details about the plaques' exact size and materials are still being ironed out, and Nguyen expects their construction to happen in the winter. But the toughest decisions already have been made: which musicians to immortalize on the Walk of Fame. The final choices came from the Blues Society. (DavidHansen/coastlinepilot.com)We generally like our music uplifting, but for local musicians sometimes life gets in the way. Whether it's the piano player at French 75 or the reggae-fueled singer at Mozambique, the glamour of playing night after night takes its toll. 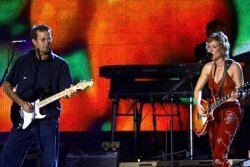 Divorce, personal issues and chaotic schedules make the "rock star" life anything but.Perhaps the only salvation for veteran musicians is their original motivation: just stay authentic. DAVID HANSEN is a writer and Laguna Beach resident. People came for the music and because Sunday’s musical feast at Folsom’s Powerhouse Pub was a charity event. At $15 per ticket, with six bands lined up to cover a spectrum of blues music, and all ticket proceeds benefiting the 147 year old Sacramento Children's Home, there was no better place to be. The Randy Carey Band opened the show at 1:50 p.m. and their rocking country blues sound had people dancing early on. They opened with “Born Under a Bad Sign,” sung by Carey, who also penned several of the songs, including “Blue Boy Blues,” their next to last song. The band’s rendition of “Good Time Charlie’s Got the Blues” had feet tapping and bodies swaying in seats and on the dance floor that was in use for five hours Sunday. “They really deserve your help,” said Carey, speaking of the children at the Sacramento Children’s Home, the event’s beneficiary. Carey also reminded the audience that it was going to be a great day of music, a promise fulfilled by his band and the five that followed. 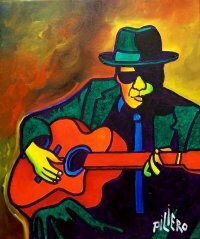 Mural recognized blues guitar legend T-Bone Walker painted by local artist Brad Attaway. Linden pays tribute to blues guitar legend T-Bone Walker with a mural painted in his honor by local artist Brad Attaway. The mural commissioned by Linden Economic Development Corporation was finished ahead of schedule and in time for holiday travelers to take notice. Aaron Thibeaux Walker was born May 28, 1910, in the Bear Creek Community near Linden. Walker cut his first record in 1929. In 1947, he produced "Stormy Monday" for which he will always be remembered. Walker died in 1975 at the age of 65. 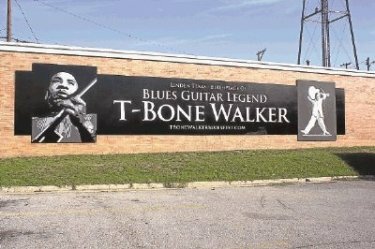 For the past six years the T-Bone Walker Blues Fest has been celebrated in Linden in June to honor this native son who became an icon in the world of music. This celebration of The Blues brings music lovers together in this birthplace of musical giants. Walker is in the Rock and Roll Hall of Fame and the Blues Foundation Hall of Fame. Linden Economic Development Corporation Executive Director Russell Wright said the LEDC board recently commissioned Attaway to paint the mural honoring Walker as part of its efforts to market Linden’s music heritage.The mural is painted in black and white on three separate boards attached to the back side of the Linden Volunteer Fire Department building. Attaway said it is painted in a “posterized” style using black, white and three shades of gray. Attaway is a local artist who has been painting for the past 40 years and has done numerous signs, graphics and murals. He said public art is his favorite thing to do. “It is something that everyone can enjoy,” Attaway said. He has also painted the Music City Plaza mural, the primrose on the front of Texana Bank, the murals in Veterans Plaza in Atlanta and three murals in Hughes Springs. He is currently painting a mural in Jefferson. He also did all the interior painting of the Music City Texas Theater including the backdrop and faux marble columns. Attaway said he was excited about painting the T-Bone Walker mural. “Hopefully it will become a part of the fabric of Linden like the Music City mural,” Attaway said. 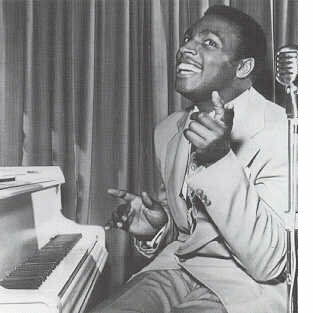 Charles Brown is credited with the beginnings of rock 'n roll Christmas music for his original 1947 recording of "Merry Christmas Baby" with Johnny Moore's Three Blazers. 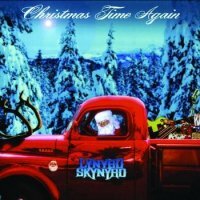 While there are earlier blues Christmas tunes, Brown's further work in the Christmas genre carried through into the Fifties and Sixties when new originals and novelties began to sweep the pop, rock and country charts. 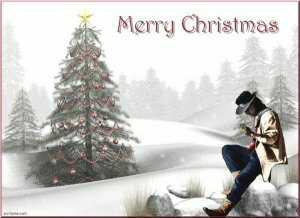 Click below to hear "Santa's Blues"
have extraordinary song writing skills. Electro Glide Records, Inc. is an independent record label that is committed to support and nourish the musician and his art. G, ALBERT KING, BRIAN SETZER, KOKO TAYLOR, SONNY BOY WILLIAMSON, ERIC CLAPTON, BONNIE RAITT, AND MORE. GET OUT THE AIR PISTOL AND START SHOOTING ORNAMENTS OFF THE TREE. WE ARE GOING TO HAVE FUN. 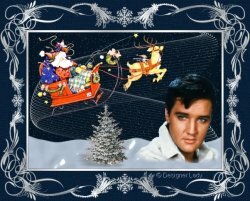 SPEND A VERY BLUESY CHRISTMAS RIGHT HERE, NEXT TIME ON THE HOUSE OF BLUES RADIO HOUR. More on our radio and video streams can be found here. RBA Publishing Inc is based in Reno, NV with a satellite office in Beverly Hills, Florida. We are woman owned and operated. 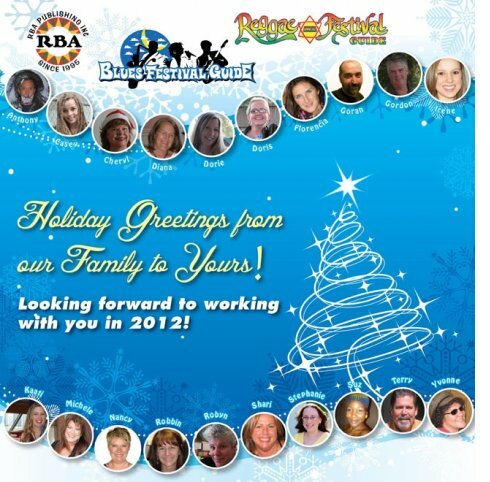 We produce the annual Blues Festival Guide magazine (now approaching our 10th year), the top-ranking website: www.BluesFestivalGuide.com, and this weekly blues newsletter: The Blues Festival E-Guide with approximately 28,000 weekly subscribers. We look forward to your suggestions, critiques and questions! Contact our home office to find out how to advertise on this newsletter 775-337-8626.